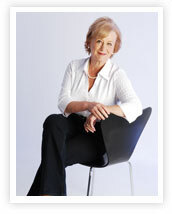 Sue's eclectic business background provides an extensive breadth of experience. Her careers in charity fundraising, marketing and management, music and insurance broking have spanned the voluntary, public and private sectors, so ensuring knowledge and understanding of their needs, how they function and interact. Working as a practitioner in coaching, mentoring and training, specialising in confidence and communication skills for individuals and teams, ensures that Sue is able to provide her clients with proven expertise and a bespoke solution to their needs. Are you stuck in a rut - or at a personal crossroads? Indecision uses up valuable emotional and physical energy. Pursuing action-oriented ways to combat such indecision leads to increased personal effectiveness, greater confidence and a positive approach to life and circumstances. Could you be better equipped to deal with the challenges and changes in your workplace? Individuals in even the most senior management positions can benefit substantially from the independent approach of a coaching professional in helping them to consider their career development skills as well as the job in hand. Coaching encourages you to define your goals, and supports you in attaining them, through active listening and effective, directional discussion. Harvard Educationalist and tennis expert, Timothy Gallwey says "Coaching is unlocking a person's potential to maximise their own performance. It is helping them to learn rather than teaching them." Performance Management, Personal Effectiveness, Enhanced Productivity, Change Management, Communication, Confidence, Finding Focus and Clarity, Taking Positive Action! All ARTEMIS coaching sessions are designed on a bespoke basis to suit the Client's requirements. The options include one to one sessions with individuals, team workshops or a combination of both. Each session is totally confidential and non-judgemental, and can be either face to face or by telephone.